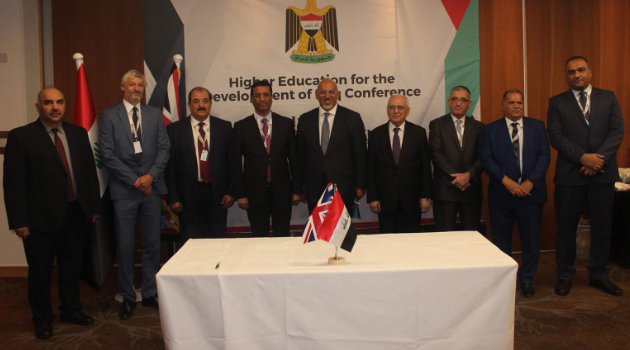 The University of Northampton signed a ground-breaking MoC with the University of Babylon at the Higher Education for the Development of Iraq Conference in London on 14-15 September, the first ever Iraqi Franchise agreement with a UK university. The signing was supported by His Excellency Professor Abdul Razaq Al Issa, the Minster of Higher Education for Iraq, His Excellency Dr Salih Al Timmimi the Iraqi Ambassador in London and Mr. Nadhim Zahawi the MP of Stratford-on-Avon and Parliamentary Under Secretary for the Department for Education. The franchise agreement will see Iraqi students completing their undergraduate degrees at the University of Northampton before returning home as graduate teaching assistants able to teach the Northampton syllabus. The partnership is not only limited to teaching and studying, but will also include research, joint PhD supervision and staff development and has the possibility to expand into other areas of joint working, such as geography, environmental sciences, English and teaching children with special educational needs. The University of Northampton has been working in numerous ways with the University of Babylon since 2012. In 2017, the University of Northampton Vice Chancellor Nick Petford became the first VC of a British University to visit Iraq since 2003. The recent signing of the MoC reinforces the work of the University of Northampton as a pioneering force in the development of Iraqi-British relations in the education sector. Excellent steps and wishing you both all the success with sincere dedications and enthusiasm to serve Iraq’s education. We urge the GoI and the Minister for Higher Education to follow up these unique franchise agreements and to apply high standards at all levels. 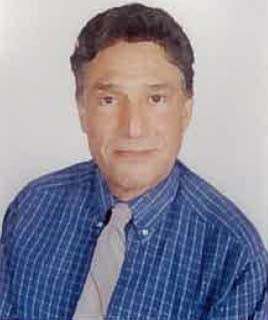 Education is very important which deserve top commitment and investment in all aspects.